We all have that one item we can always count on and each for different reasons. 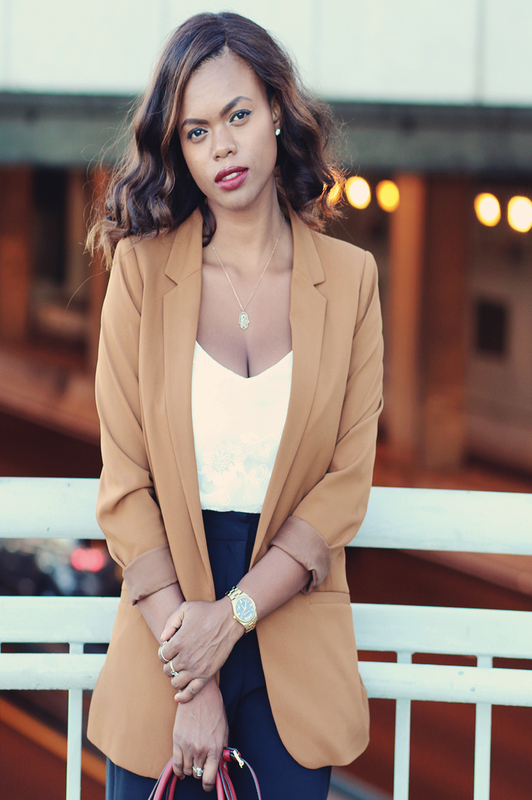 This golden brown blazer is everything I wanted in a blazer and more. 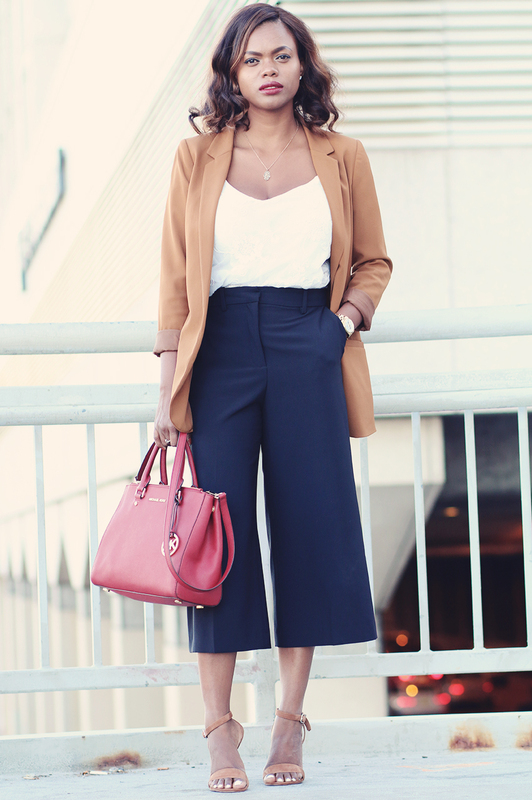 I've said it before, it goes with almost everything in my closet since I stick to neutral colors. 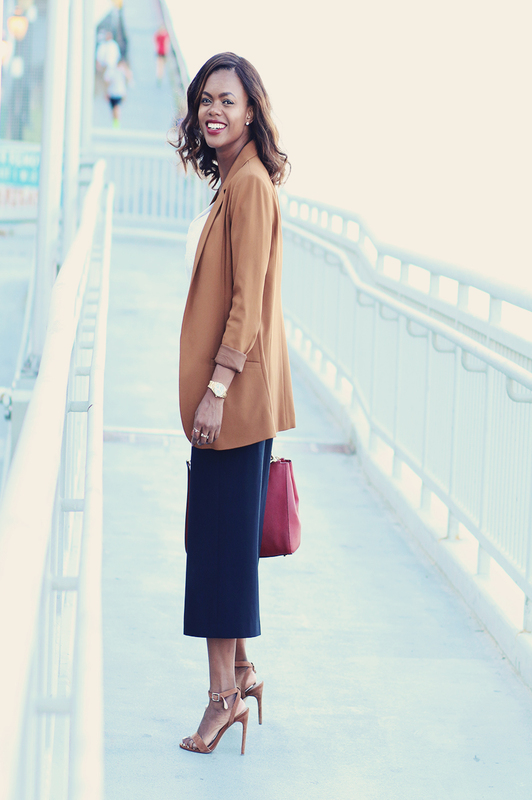 This time I paired the blazer with a pair of black culottes,cream top and burgundy bag.My Steve Madden proven heels goes really well with this blazer.